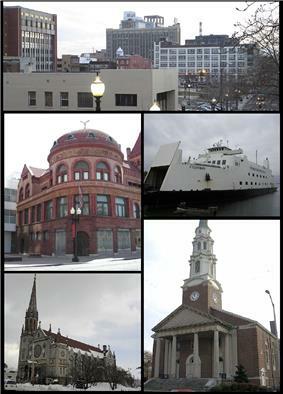 Bridgeport is the most populous city in the state of Connecticut. 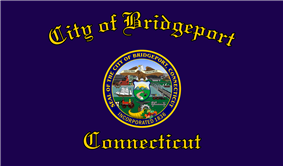 Located in Fairfield County on the Pequonnock River and Long Island Sound, the city had an estimated population of 144,229 at the 2010 United States Census and is the core of the Greater Bridgeport area. Samuel Orcutt (1886). A History of the Old Town of Stratford and City of Bridgeport Connecticut, Volume 2. Fairfield County Historical Society. John Nolen (1916). 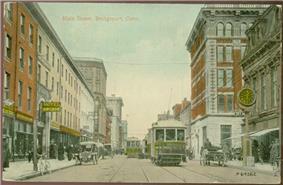 Better City Planning For Bridgeport. Bridgeport: City Plan Commission. George Curtis Waldo (1917). History of Bridgeport and Vicinity, Volume 1. S. J. Clarke. George Curtis Waldo (1917). 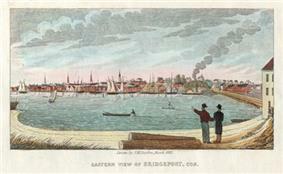 History of Bridgeport and Vicinity, Volume 2. S. J. Clarke. Mary K. Witkowski (2002). Bridgeport at Work. Arcadia Publishing. Cecelia Bucki (2001). Bridgeport's socialist New Deal, 1915–36. University of Illinois Press. ^ "Race, Hispanic or Latino, Age, and Housing Occupancy: 2010 Census Redistricting Data (Public Law 94-171) Summary File (QT-PL), Bridgeport city, Connecticut". U.S. Census Bureau, American FactFinder 2. Retrieved August 5, 2011. ^ Emily Ross, Angus Holland (2005). One hundred great businesses and the minds behind them. Sourcebooks, Inc. p. 388. ^ "History Of Frisbies". Retrieved November 28, 2007. ^ a b "Bridgeport, Conn.". The Encyclopedia Americana: a library of universal knowledge 4. New York: Encyclopedia Americana Corp. 1918. p. 527. Retrieved July 29, 2010. ^ Strother, French (January 1916). 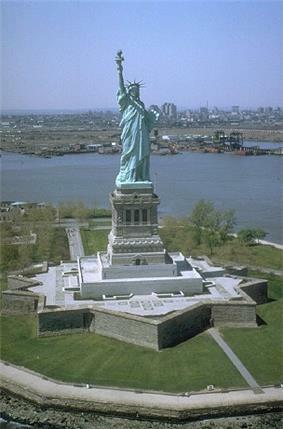 "America, A New World Arsenal". ^ Fred Lucas (April 6, 2006). "Bush visits Bridgeport". News Times (Danbury). Retrieved July 30, 2010. ^ "Martin Luther King in Bridgeport?". Bridgeport Public Library. Retrieved July 30, 2010. ^ Philip Sheldon Foner (1982). History of the Labor Movement in the United States: 1915–1916, on the Eve of America's Entrance into World War I, Vol. 6. International Publishers Company, Incorporated. p. 196. ^ "Bridgeport Working: Voices from the 20th Century". 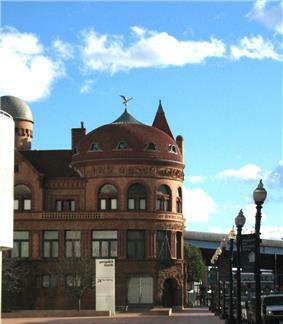 Bridgeport Public Library. Retrieved July 28, 2010. ^ Matthew L. Wald (September 5, 1982). "THE Workplace in Transition". New York Times (US). Retrieved July 28, 2010. ^ Bill Cummings (August 31, 2009). 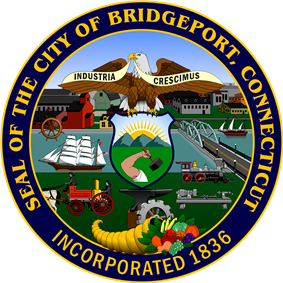 "Bridgeport council approves development plan". News Times (Danbury). Retrieved August 5, 2010. ^ Keila Torres (February 14, 2010). "Agencies partner for housing/medical complex in Bridgeport". News Times (Danbury). Retrieved August 5, 2010. ^ "U.S. Decennial Census". Census.gov. Retrieved November 4, 2014. ^ a b "Bridgeport (city), Connecticut". State & County QuickFacts. U.S. Census Bureau. Retrieved May 13, 2012. ^ "Connecticut - Race and Hispanic Origin for Selected Cities and Other Places: Earliest Census to 1990". U.S. Census Bureau. Retrieved May 13, 2012. ^ Stephen King (1978). Night shift. Doubleday. pp. 255–256. ^ A. J. Sobczak, Janet Alice Long, and Frank Northen Magill (1998). Cyclopedia of Literary Characters, Volume 1. Salem Press. p. 190. Industrialists: Great Atlantic and Pacific Tea Company, Harvey Hubbell, Edwin H. Land, Nathaniel Wheeler. 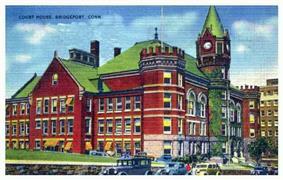 Connecticut Post - Formerly the Bridgeport Post and Bridgeport Telegram. The areas main newspaper covering Bridgeport and the surrounding area. The newspaper is printed daily by The Post Publishing Company 2 blocks west of the Main Office at 410 State Street Bridgeport. WEZN-FM 99.9; 27,500 watts (formerly WJZZ-FM). Star 99.9 is "Today's Best Mix!" The station owned by Connoisseur Media. 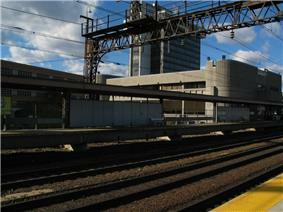 Lincensed to Bridgeport, CT, with studios in Milford and transmitter in Trumbull. WPKN-FM 89.5; 10,000 watts; From the station's website: 89.5 FM WPKN is somewhat inscrutable. We break all of the rules, and we observe few, if any, of the conventions. We have no format whatsoever, we permit our programmers to do whatever they will, and we don't accept funding from the sources which might restrict our freedoms. We are totally accountable to our listeners in that we publish our budget to everyone on our mailing list, and we also invite you to our monthly staff meetings and, in particular, the June meeting at which we discuss the budget. (...) WPKN's programming can be heard on two frequencies: 89.5 FM from our transmitter at Trumbull, CT and 88.7 FM (formally known as WPKM) at Montauk on Long Island. If you're driving eastward and you start to lose the 89.5 signal, you can tune over to 88.7 and continue to hear us until about Exit 6 on I-95 in Rhode Island." Bridgeport's first public park was the 4-acre (16,000 m2) Washington Park in East Bridgeport, first set aside as a park in 1851. As the city rapidly grew in population, residents recognized the need for more public parks and by 1864, Barnum and other residents had donated approximately 35 acres (140,000 m2) to create Seaside Park, now increased to 375 acres (1.52 km2). In 1878, over 100 acres (400,000 m2) of land bordering the Pequonnock River was added as Beardsley Park. Frederick Law Olmsted, famous for creating New York City's Central Park, designed both Seaside and Beardsley Parks. Over time, more parks were added including 35-acre (140,000 m2) Beechwood Park and Pleasure Beach, home to a popular amusement park for many years. The main portion of the city is divided into three major north/south roads that somewhat parallel each other. Main Street, the city's main artery, extending from the Trumbull town line, down through North Bridgeport, under Route 25/8 and into downtown, with its southern terminus at Seaside Park. Park Avenue is the far western main road that is on the borderline with the town of Fairfield and extends from the Trumbull, Connecticut border in the North End to the South End at Seaside Park. 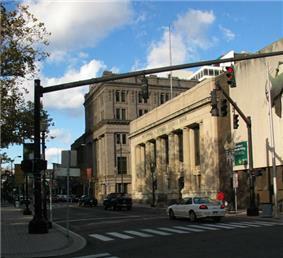 Madison Avenue is situated parallel between Main Street and Park Avenue that extends from the Trumbull town line in the North End and continues through the West Side. East Main Street is the major North/South road through East Bridgeport, extending from the Trumbull/Stratford line though the East Side, ending near Steel Point. The major East/West roads in the city are Barnum Avenue, Boston Avenue, Fairfield Avenue/Stratford Avenue, North Avenue, Capitol Avenue, State Street, and Railroad Avenue. Barnum Avenue extends from the Stratford line, below Mill Hill, and ends at the Pequonnock River. Boston Avenue breaks off of Barnum Avenue near the Stratford line and goes east-west through the Upper East Side toward the North End. Stratford Avenue starts in the South End of the town of Stratford and travels Southwest into Bridgeport, where it briefly becomes Connecticut Avenue in the city's East End. It then travels East through Steel Point directly into the center of Downtown Bridgeport, where it turns into Fairfield Avenue at Main Street. Fairfield Avenue then travels South and then Southwest through the West Side and down into Black Rock, where it turns into the Boston Post Road, or simply, the Post Road, in Fairfield, Connecticut. North Avenue begins at Boston Avenue in the Upper East Side above the Pequonnock River and extends Southwest diagonally through the city as Route 1. It then turns into Kings Highway in Fairfield. Capitol Avenue begins by breaking off of North Avenue at Island Brook Avenue Ext. and travels West across the Madison and Brooklawn neighborhoods near North Bridgeport and ends at the Fairfield line. State Street begins in Downtown and cuts across the West Side, where it terminates in Fairfield. Railroad Avenue extends from just below Downtown Bridgeport and runs parallel with the Metro North/New Haven Railroad lines. The Westbound side above the tracks, and the Eastbound side below the tracks. It terminates at Fairfield Avenue in the West Side. 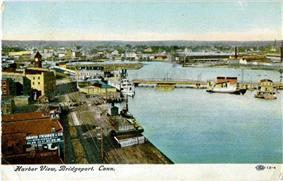 The Bridgeport Harbor is bordered by Long Island Sound and is formed by the estuary of the Pequonnock River and Yellow Mill Pond, an inlet. Between the estuary and the pond is a peninsula, East Bridgeport, also known as the East Side, which was once the site of some of the largest manufacturing establishments in Connecticut, most of which no longer exist. On the other side of the Yellow Mill Pond inlet is the East End of Bridgeport, which is the far eastern point of the city, next to Pleasure Beach. Above the East End are the Mill Hill and Boston Avenue neighborhoods and the border with Stratford, Connecticut. West of the Harbor and the Pequonnock River is the main portion of the city, with Downtown Bridgeport lining the river, the South End lining the harbor and Long Island Sound, the West Side between Fairfield, Connecticut and Downtown, and North Bridgeport extending from Downtown and the West Side to the border with Trumbull, Connecticut. Numerous factories, some of which are no longer in operation, line western sections the Metro North/New Haven Railroad line from the Bridgeport Station in Downtown, under Interstate 95 in the South End, and through the West Side and into Fairfield. The city is surrounded by hills in North Bridgeport/North End, the Upper East Side, and Mill Hill. 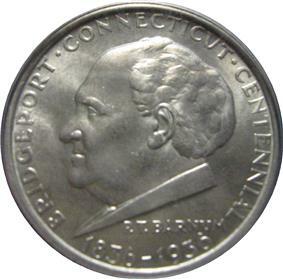 With a period of record only dating back to 1948, Bridgeport's highest temperature is 103 °F (39 °C) on July 22 in 1957 and 2011, while the lowest temperature is −7 °F (−22 °C) on January 22, 1984. Several hurricanes have impacted Bridgeport, including one in 1938.